According to the U.S. News and World Report’s review of the new Kia Soul, this car’s “passenger and cargo capacity rival some subcompact SUVs’, and its cabin is nicer than most rivals'”. This instantly-recognizable vehicle may be a compact car, but its spacious interior, outsized personality, and economical gas mileage have made it larger than life in the eyes of our friends and neighbors across the Kettering region. Explore our lineup of new Kia Soul models today, and then get behind the wheel of your favorite. Gray 2020 Kia Soul FWD 2.0L 4-Cylinder MPI DOHC Recent Arrival! Red 2020 Kia Soul FWD 2.0L 4-Cylinder MPI DOHC Recent Arrival! Find Your Perfect Match at Kia of Beavercreek! After you’ve had the chance to explore our lineup, you’ll be able to take any vehicle in our inventory for a test drive. Once you’ve seen how the Soul handles the roads of Beavercreek, you’ll quickly see why its the favored choice of more and more compact car drivers. 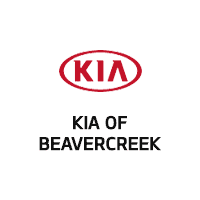 Kia of Beavercreek has a long history of serving drivers from Xenia to Dayton, and with all of the unique benefits we offer, it isn’t hard to see why. We make it easy for our neighbors to value their trade-ins, apply for financing, and schedule service online. What’s more, our Rev Rewards program can even help you save money and accrue more advantages over time. If you’re still on the fence, contact us today to learn more!